::Login:: User Name : Password : Forgot your password? Safeguarding of financial instruments and funds belonging to clients, product governance obligations and the rules applicable to the provision or reception of fees, commissions or any monetary or non-monetary benefits. European Banks Are Stuck in "Safe Mode" FREE DOWNLOAD! VRS Newsletter, February 15, 2018 FREE DOWNLOAD! VRS Newsletter, December 28, 2017 FREE DOWNLOAD! Note on Cyber Risk and Business Valuation FREE DOWNLOAD! Note on Disruption & Valuation in the Technology Sector FREE DOWNLOAD! The "Value Invest" Magazine by VRS FREE DOWNLOAD! "Match Made" by VRS (Greek Language) FREE DOWNLOAD! "Match Made" Press Release FREE DOWNLOAD! Brand Strategy in Professional Sports Market FREE DOWNLOAD! Certificate in Corporate Finance by SII FREE DOWNLOAD! November 8, 2018 : VRS (Valuation & Research Specialists) are delighted to announce their new office presence in Luxembourg. The decision to establish a presence in this region builds upon the firm’s long-term strategic plans for continued growth and development on international level. Through its network in both Athens and Luxembourg, VRS will be more effectively providing its specialized services to European and North American institutional clients. VRS (Valuation & Research Specialists) is pleased to announce that several of the most notable global institution portfolios systematically follow its company research and valuations. VRS research reports cover both listed and non-listed companies in Greece as well as globally. Specifically, the institutional investors that follow VRS’ research on Greek companies are well-known in Greece, as they have been active, directly or indirectly, in the domestic capital market during the last 15 years. Greek listed companies have remained as a focus in the broader interest of global investors, while portfolios of private equity funds, hedge funds and venture capital funds from markets such as the U.S. and Europe, are expressing particular interest for non-listed companies such as dynamic growth companies and startups. VRS is the only independent research house based in Greece, applying in-depth analysis and valuing companies that are of interest for global investors. It is noted that VRS research reports are addressed exclusively to global institutional portfolios. Valuation & Research Specialists (VRS) were online supporters of the Business Analytics Forum III, the Asset Management Forum II, and the Private Equity and Startups Forum, all held in Athens, Greece. The forum were organized by the Financial Academy and Derivatives.gr. Valuation & Research Specialists (VRS) is proud to announce an agreement with the Mergers and Acquisitions (M&As) Division of Mahindra, an Asian Group of Companies. The M&As team of Mahindra & Mahindra Ltd will be utilizing VRS's research output and expertise in its daily operations. Mahindra Group is a $15.4 billion global corporation and is active in a broad range of business sectors such as automotive, farming, information technology, metals, energy, real estate, hospitality, financial services, aerospace and defense. Valuation & Research Specialists (VRS) is proud to announce that its research reports have attracted a significant audience of the international investment community during the year 2012. According to readership data of Thomson Reuters, a significant number of investment professionals follow and read VRS research reports. Professionals are mainly asset managers, investment advisors and financial consultants from the markets of North America, Europe, Asia and Pacific with indicative countries of interest the US, UK, Germany, France, Switzerland, Holland, Italy, Hong Kong and Australia among others. Via its research reports, VRS covers listed and non-listed companies, sector markets and financial securities. VRS also produces scientific and academic research reports in the fields of investments, finance and economics. Valuation & Research Specialists (VRS) acted as online supporters of the Investments Forum III, the Derivatives Forum II, and the Corporate Innovation Forum, all held in Athens, Greece. The forums were organized by the Financial Academy and Derivatives.gr. Valuation & Research Specialists (VRS) acted as online supporters of the Business Analytics and Wealth Management Forums held on 26 April and 17 May 2012 respectively, in Athens, Greece. The forums were organized by the Financial Academy. VRS also acted as online supporters of the Private Equity & Startups Forum held on 21-22 June 2012 and of the Fund Strategies Forum on 21 September 2012. Both forums were held in Athens, Greece. Valuation & Research Specialists (VRS) acted as sponsors of the "CEOs and CFOs Survey on Financial Management of Cyber Risk 2011 / 2012" in cooperation with Mr. Efstratios Livanis, Lecturer in Technology Management Department, University of Macedonia, Thessalonica, Greece. 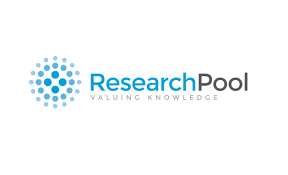 Valuation & Research Specialists (VRS) have agreed with FactSet for the uploading and distribution of VRS reports (equity research reports, valuations of public and non public companies, financial analysis and academic research) via FactSet's platform. Capital IQ is the third provider / distributor of VRS research reports internationally, following VRS agreements with Capital IQ (member of Standard & Poor's) and Thomson Reuters in 2010 and 2006 respectively. FactSet Research Systems Inc. was founded in 1978. The company combines integrated financial information, analytical applications and client service to enhance the workflow and productivity of the global investment community. FactSet is headquartered in Norwalk, Connecticut, US, and is present in North America, Europe and the Pacific Rim. FactSet is publicly traded on the New York Stock Exchange and the Nasdaq. Valuation & Research Specialists (VRS) acted as supporters of an exhibition featuring prominent modern Greek painters held on 23 May 2011 at St. George Lycabettus Hotel, Kolonaki Athens, Greece. 1) VRS executives participated as instructors in a specialized seminar organized by Oikonomotexniki on March 15 & 16, 2011 (Athens, Greece). The seminar dealt with "Corporate Budget Modeling and Theory". 2) VRS executives participated as instructors in a specialized seminar organized by Strathclyde University and International Management Studies on April 5,7,9, 2011 (Athens, Greece). The seminar covered the field "Corporate Valuation Modeling and Theory", emphasizing on forecasting and valuation models (such as DCFM and comparative valuation) through Microsoft Excel. 3) VRS executives participated as instructors in a specialized seminar organized by Strathclyde University and International Management Studies on 10, 12 May 2011 (Athens, Greece). The seminar covered the field portfolio and risk management, emphasizing on the respective financial models (market efficiency, bond pricing, implied forward rates, etc.) through Microsoft Excel. 4) VRS executives presented the topic of corporate valuation in the Athens University of Economics & Business (AUEB) on May 9, 2011 (Athens, Greece). VRS executives participated as instructors in two specialized and applied seminars organized by Strathclyde University and International Management Studies in Athens, Greece. The seminars covered the field corporate valuation, emphasizing on forecasting and valuation models (such as DCFM and DDM) through Microsoft Excel, and the field portfolio and risk management, emphasizing on the respective financial models (market efficiency, bond pricing, implied forward rates, etc.) through Microsoft Excel. "Valuation & Research Specialists" acted as supporters of the 1st Private Equity Forum held on 26 October 2010, in Athens, Greece. The forum was organized by www.derivatives.gr and Financial-Academy.gr . "Valuation & Research Specialists" (“VRS”) published the 7th issue of the semi-annual academic journal under the name "Investment Research & Analysis Journal" ("IRAJ"). The issue's research papers covered the following topics: a) From entrepreneurial state to state of entrepreneurs, b) The investigation of systematic risk as a means to explain how the financial crisis of 2008 affected the Greek Stock Exchange, c) Firm visibility via group presentations, d) Searching for a new paradigm in competitive strategy. "VRS" contributes research reports to "Capital IQ"
"Valuation & Research Specialists" ("VRS") have signed an agreement with Standard & Poor’s “Capital IQ” for the uploading and distribution of VRS reports (equity research reports, valuations of public and non public companies, financial analysis and academic research) via Capital IQ’s international platforms in markets such as Europe, North America and Asia. Capital IQ is the second provider / distributor of VRS reports internationally, following “Thomson Reuters” agreement with VRS in 2006. "VRS" as expert training advisor of "H&F Analysis"
"Valuation & Research Specialists" ("VRS") acted as expert training advisor of "H&F Analysis", the sole accredited training provider in Greece of London's "Chartered Institute for Securities & Investment" ("CISI"). "CISI" is an internationally recognised institute granting specialized certificates, approved by UK's Financial Services Authority, to professionals of the global securities industry. "VRS" executives participated as instructors in the seminars organized by "Hellenic American Union" in Athens, Greece, for the Certificate in Investment Management of "CISI". "Valuation & Research Specialists" acted as supporters of the Trading Forum and the 2nd Fund Strategies Forum held on 19 December and 24 November 2009 respectively, in Athens, Greece. The forums were organized by www.derivatives.gr . "Valuation & Research Specialists" (“VRS”) published the 6th issue of the semi-annual academic journal under the name "Investment Research & Analysis Journal" ("IRAJ"). The issue's research papers covered the following topics: a) The economic impact of tender offers to target-companies in USA during the 20th century, b) Corporate ownership and governance structures, c) Can Greek mutual fund managers outgess the market persistently?, d) Contradictory answers of questionnaires. "Valuation & Research Specialists" acted as communication supporters of the "Asset Management Forum" held on 20 May 2009, in Athens, Greece. The Forum was organized by www.derivatives.gr . "Valuation & Research Specialists" (“VRS”) published the 5th issue of the semi-annual academic journal under the name "Investment Research & Analysis Journal" ("IRAJ"). The issue's research papers covered the following topics: a) Investment Opportunities in Waste Management through the Private Finance Initiative, b) The Death of Credit Markets: Suicide, Homicide, or Accidental Death? c) Corporate Governance and the Cost of Equity Capital, d) Interest Rate Risk and Bank Common Stock Returns: Evidence from Greek Banking Sector, e) Incorporation of Foreign Transactions in Input-Output Analysis Approaches and Practices. "Valuation & Research Specialists" acted as communication supporters of the "Investments - Forum" held on 20 December 2008, in Athens, Greece. The Forum was organized by www.derivatives.gr . "Valuation & Research Specialists" and "Investment Research & Analysis Journal" acted as supporters of the 1st Fund & Structured Product Strategies Forum held on 17 September 2008, in Athens, Greece. The Forum was organized by www.derivatives.gr . 1) VRS executives participated as instructors in a specialized seminar organized by Oikonomotexniki on April 10-11, 2008 (Athens, Greece). The seminar covered topics and tools relating to analysis and evaluation of investment projects and corporations. 2) VRS executives participated as instructors in a specialized seminar organized by Strathclyde University and International Management Studies on 15, 17, 19 April 2008 and on 21, 23, 25 October 2008 and on 10, 12, 14 March 2009 (Athens, Greece). The seminar covered the field corporate valuation, emphasizing on forecasting and valuation models (such as DCFM and DDM) through Microsoft Excel. 3) VRS executives participated as instructors in a specialized seminar organized by Strathclyde University and International Management Studies on 6, 8 May 2008 and on 17, 19 March 2009 (Athens, Greece). The seminar covered the field portfolio and risk management, emphasizing on the respective financial models (market efficiency, bond pricing, implied forward rates, etc.) through Microsoft Excel. 4) VRS as Expert Training Advisor in Certificate in Investment Management and Certificate in Corporate Finance in 2008-2009. "Valuation & Research Specialists" ("VRS") acted as expert training advisor of "H&F Analysis", the sole accredited training provider in Greece of London's "Securities & Investment Institute" ("SII"). "SII" is an internationally recognised institute granting specialized certificates, approved by UK's Financial Services Authority, to professionals of the global securities industry. "VRS" executives participated as instructors in the seminars organized by "Hellenic American Union" in Athens, Greece, in the context of the Certificate in Investment Management of "SII". VRS executives participated as instructors in a specialized seminar organized by Oikonomotexniki on February 20-21, 2008 (Athens, Greece). The seminar covered topics and tools relating to analysis and evaluation of investment projects and corporations. 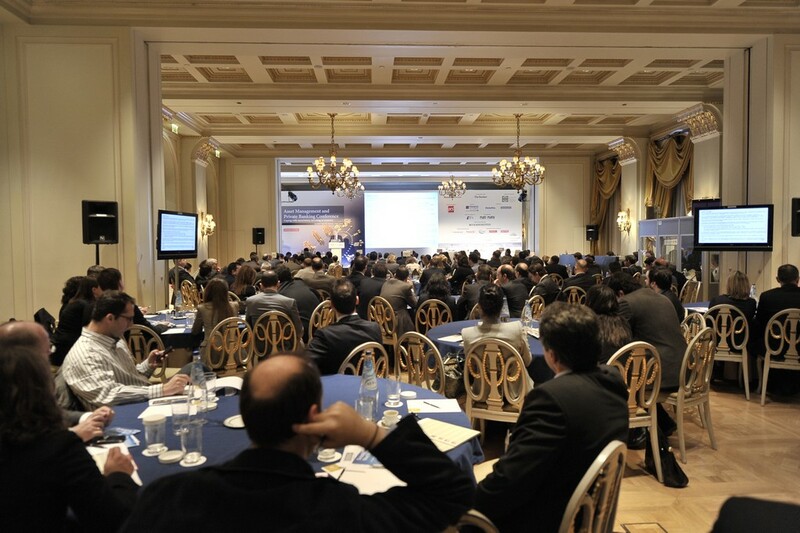 The "Derivatives Forum" was held in Athens Greece on February 2-3, 2008. The event was organized by the Greek Internet Portal "www.derivatives.gr" and addressed a series of financial topics such as risk management, derivatives products and investment analysis. Nicholas Her. Georgiadis, Director of Research of "Valuation & Research Specialists" ("VRS"), was guest speaker at the forum addressing the topic of "Greek Equity Market's Valuation". “VRS” executives participated as instructors in a specialized seminar organized by “Oikonomotexniki” on December 19-20, 2007, Athens, Greece. The seminar covered the field of “Financial Reporting”, emphasizing on how financial reporting enhances the stock image of publicly traded companies. VRS executives participated as instructors in a specialized seminar organized by Strathclyde University and International Management Studies in December 2007 (Athens, Greece). The seminar covered the field corporate valuation, emphasizing on forecasting and valuation models (such as DCFM and DDM) through Microsoft Excel. Seminar on "Markets in Financial Instruments Directive"
London's "Securities & Investment Institute" ("SII") organized a special seminar on "Implementing MiFID" in co-operation with Marfin Egnatia Bank. 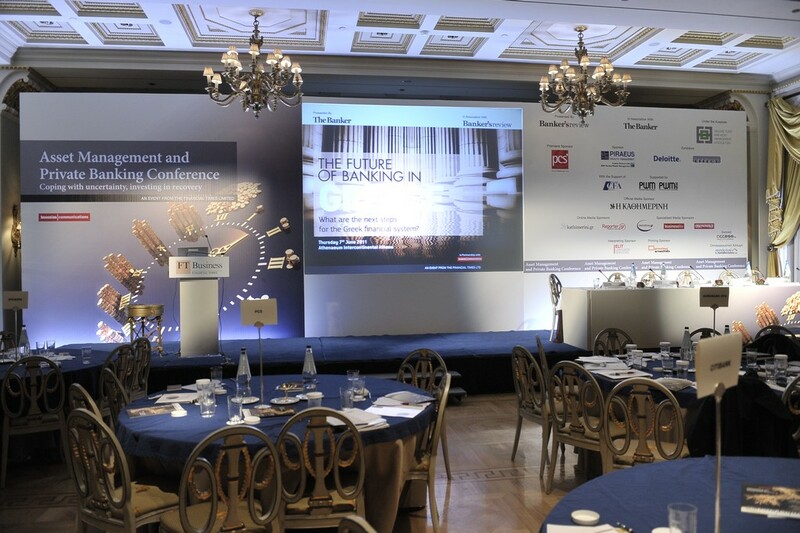 The event took place on 25 September 2007, in Grande Bretagne Hotel, Athens, Greece. The seminar was presented by Efthimios Bouloutas (Chief Executive, Marfin Egnatia Bank), Simon Culhane (Chief Executive of SII), Christopher Bond MSI (Senior Advisor, MiFID), and Dr. Harilaos Mertzanis (Director of Research, Certification and MIS of the Hellenic Capital Market Commission). The "Markets in Financial Instruments Directive" ("MiFID") is the cornerstone of the European Commission's Financial Services Action Plan which will significantly change how EU financial service markets operate. The "Securities & Investment Institute" ("SII") is the largest and most widely respected professional body for those who work in the securities and investment industry in UK. "H&F Analysis" and "Valuation & Research Specialists" ("VRS") are joint promoters of SII's professional certificates (Certificate in Investment Management and Certificate in Corporate Finance) in the Greek market. A "new generation" magazine by "VRS"
"VRS" published a "new generation" magazine that incorporates new voices and ideas destined for the international market of professionals in the securities and investment banking industry. This magazine is written and applied by practioners. The "Value Invest" Magazine is published in English language on semi-annual basis, and circulates electronically in 14 countries across the world. "International Management Studies" ("IMS") is the exclusive representative of UK's Strathclyde University in Greece, running the latter's postgraduate programs. "IMS" announces its collaboration with "VRS" ("Valuation & Research Specialists") in the area of specialized corporate finance and investment management seminars for senior executives. VRS executives participated as instructors in a specialized seminar organized by Oikonomotexniki on June 19-20, 2007 (Athens, Greece). The seminar covered topics and tools relating to analysis and evaluation of investment projects and corporations. “VRS” Directors of Equity Research participated as instructors in a specialized seminar organized by Hellenic Association of Certified Stockmarket Analysts (HACSA) on 17 May 2007, Athens, Greece. VRS executives participated as instructors in a specialized seminar organized by Oikonomotexniki on December 18-19, 2006 (Athens, Greece). The seminar covered the field corporate valuation, emphasizing on forecasting and valuation models (such as DCFM and DDM) through Microsoft Excel. "VRS" as partner of "H&F Analysis"
"Valuation & Research Specialists" ("VRS") entered in a partnership with "H&F Analysis", the sole accredited training provider in Greece of London's "Securities & Investment Institute" ("SII"). "SII" is an internationally recognised institute granting specialized certificates, approved by UK's Financial Services Authority, to professionals of the global securities industry. "VRS" executives participated as instructors in the seminars organized by "Hellenic American Union" in Athens, Greece, in the context of the Certificate in Corporate Finance of "SII". “VRS” executives participated as instructors in a specialized seminar organized by Hellenic Association of Certified Stockmarket Analysts (HACSA) on 23 October 2006, Athens, Greece. “Investment Research & Analysis Journal" ("IRAJ"), which is an academic journal owned and published by "Valuation & Research Specialists" ("VRS"), was among the media sponsors of the 1st International Conference in Accounting & Finance organized by the Department of Accounting and Finance of the University of Macedonia and held between 31 August - 1 September in Thessalonica, Greece. 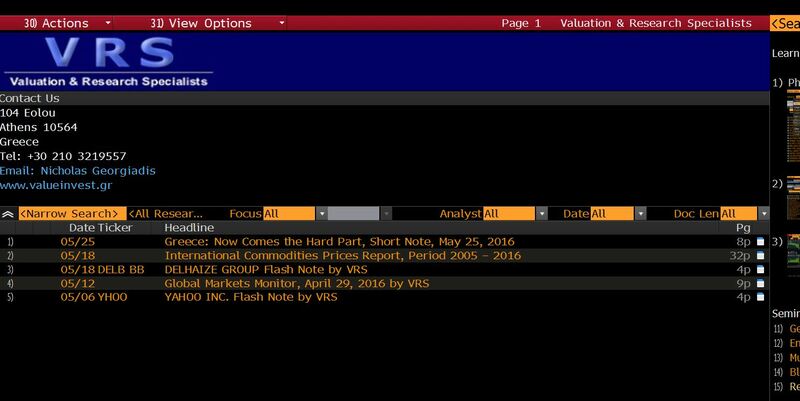 "VRS" equity research reports on "Reuters"
“VRS” enter into an agreement with “Reuters”, the world's leading information resource. According to the agreement, “Reuters” will be uploading “VRS” equity research reports on its platforms. "VRS" reports will be available to institutional investors, portfolio managers and finance professionals on a fee basis. Academic Journal published by "VRS"
“VRS” published a bi-monthly academic journal under the name "Investment Research & Analysis Journal" ("IRAJ"). The editorial board of "IRAJ" consists of prominent professors in Greece and abroad (University of Macedonia, University of Crete, University of Piraeus (Greece), INSEAD (France), Kingston University (U.K.), etc.). “VRS” executives participated as instructors in a specialized seminar organized by “Oikonomotexniki” on June 5-6, 2006, Athens, Greece. The seminar covered the field of “Financial Reporting”, emphasizing on how financial reporting enhances the stock image of publicly traded companies. “VRS” executives participated as instructors in a specialized seminar organized by “Oikonomotexniki” on March 22-23, 2006, Athens, Greece. The seminar covered the field of “Financial Reporting”, emphasizing on how financial reporting enhances the stock image of publicly traded companies. VRS executives participated as instructors in accounting and investments in a series of seminars organized by Hellenic American Union and H&F Analysis (Athens, Greece) for the Certificate in Investment Management (CertIM). The Securities and Investment Institute of London grants CertIM to industry professionals worldwide. VRS executives participated as instructors in a specialized seminar organized by Hellenic American Union in co-operation with H&F Analysis on October 24-26, 2005 (Athens, Greece). The seminar covered the field of financial statements analysis via the application of analytical models based on Microsoft Excel. VRS equity analysts presented the fundamentals and prospects of the Greek Banking Sector to institutional investors on 27 September 2005, in Frankfurt, Germany. VRS executives participated as instructors in a specialized seminar organized by Hellenic American Union in co-operation with H&F Analysis on April 4-6, 2005 (Athens, Greece). The seminar covered the field corporate valuation, emphasizing on forecasting and valuation models through Microsoft Excel. In co-operation with H&F Analysis, VRS executives participated as instructors in the CertIM seminars of London’s Securities and Investment Institute. Certificate in Investment Management (CertIM) is a professional certificate recognized by leading financial institutions in Great Britain and other European countries. The seminars were held in Hellenic American Union, Athens, Greece, whereas H&F Analysis is the Securities & Investment Institute’s accredited training provider in Greece. Standard & Poor's and Director of "VRS"
Mr. Nicholas I. Georgiadis, Director of Research, VRS, contributed to a research paper titled "Greece - Country Governance Study". The study was performed by a team of Greek and foreign analysts coordinated by Standard & Poor’s in co-operation with its Corporate Governance Services representative in Greece, Metaholding SA. Novus Finance and VRS jointly published a special study regarding the quality of financial reporting of Greek listed companies. The study was based on a survey poll of Greek institutional investors and equity analysts, taking place between October and December 2004. "VRS" Director contributes to "Metohos"
Mr. Nicholas I. Georgiadis, Director of Research, VRS, is a regular columnist in the newly issued "Metohos", a Canadian business and cultural magazine. 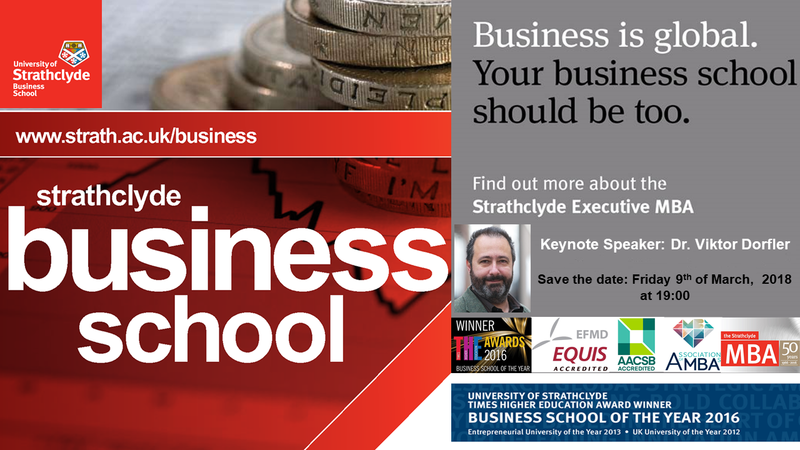 Mr. Georgiadis will be covering topics such as sector analysis, as well as corporate and economic affairs. "Financial Reporting & Stock Image"
“VRS” executives participated as instructors in a specialized seminar organized by “CIF” (“Computer International Franchise”) on November 23, 2004, Athens, Greece. The seminar covered the field of “Financial Reporting”, emphasizing on how financial reporting enhances the stock image of publicly traded companies. "The World's Leading Information Resource"
“VRS” enter into an agreement with “Thomson Financial”, the world’s leading information resource. “Thomson Financial” will handle the worldwide distribution of “VRS” equity research reports to institutional investors, portfolio managers and finance professionals. “VRS” equity research reports will be presented in both English and Greek language. According to an agreement between “VRS” ("Valuation & Research Specialists") and "Stock Rally", the latter's web pages (www.stockrally.gr) will host special equity research reports (in Greek and English language) conducted by "VRS". "Stock Rally" is leading financial news and statistical web-site in the Greek market, capturing the attention of domestic institutional and individual investors. "How to Improve Stock Image"
“VRS” is going to publish a new book titled “How Listed Companies Improve their Stock Image”. This book examines various areas of “corporate reporting” performed by publicly traded companies and analyzes the benefits generated for these companies from specialized information disclosure to equity analysts, as well as to institutional and private investors. Mr. Nicholas I. Georgiadis, Research Director of “VRS”, is the author of this book. “VRS” executives participated as instructors in a specialized seminar organized by “CIF” (“Computer International Franchise”) on March 27-28, 2004. The seminar covered the field of “Corporate Analysis & Valuation”, emphasizing valuation models – such as Discounted Cash Flow Model and Dividend Discount Model – and the use of Microsoft Excel in their preparation. “ALKE Stock Brokers” have appointed “VRS” as exclusive contributor to its equity research output. “VRS” will be producing independent equity research reports for “ALKE Stock Brokers” and the latter’s institutional and retail clientele. The above agreement constitutes an innovative development in the Greek Capital Market, since there is no precedent event regarding the co-operation between a domestic stockbroker, and a (non-broker) equity research company. In December 2003, “Valuation & Research Specialists” published a book on the Principles of Fundamental and Technical Analysis. This book is written in the Greek language and examines the two prominent schools of thought in market analysis with discussions of financial statement analysis, valuation analysis, and technical analysis. Each section is thoroughly examined so that the reader can understand each approach and how it interacts with the other. The affiliation between “Euro2day” (www.euro2day.gr) and “Investment Research & Analysis Journal” (www.iraj.gr) commenced on October 24th, 2003. Euro2day is the leading financial news web-site in the Greek market and, since that date, it hosts special pages with equity research reports from “Investment Research & Analysis Journal”, which is owned by “Valuation & Research Specialists” (“VRS”). “Euro2day”’s content is published in the Greek language and its audience consists of individual and institutional investors. “VRS” (“Valuation & Research Specialists”) has initiated coverage on Unisystems, a leading system integrator in the Greek Information Technology Sector. Lavipharm – a major pharmaceuticals company in Greece – is soon to become another Greek stock which will be covered by “VRS”. “Valuation & Research Specialists” constitute the first independent equity research firm currently established in the Greek market. Despite its limited size and thin trading volume, the Greek equity market offers significant investment opportunities and “VRS” has been making systematic efforts to bring attractively priced stocks to the attention of its clients – subscribers as well as institutional investors, in Greece and abroad. “VRS” also provides quantitative and statistical research and analysis, econometric modeling, financial engineering, and sector analysis for institutions. “Investment Research & Analysis Journal” (“IRAJ”) - “www.iraj.gr” is “VRS” affiliated and constitutes the first extranet / web-site in Greece publishing extensive academic research on securities' markets. “IRAJ” publishes its research papers in the Greek language and covers a full range of research topics such as valuation, equity analysis, bond analysis, and commodity analysis. “IRAJ” has brought highly skilled and experienced professionals together, with critical skills in multiple areas of finance and investment, whereas its research output attracts the attention of prominent investment professionals and leading institutional investors in Greece. Copyright Valuation & Research Specialists 2003-2019. All rights reserved. This material may not be published, broadcast, rewritten, or redistributed. Based on closing or intraday prices.